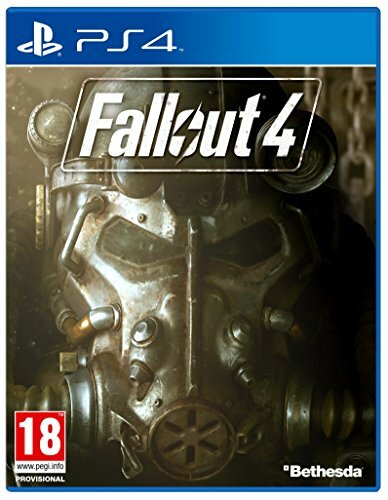 Fallout 4 is released on Xbox One, PlayStation 4 and PC tomorrow, 10 November, and usually we would move Heaven and Earth in order to bring you a full, no-holds-barred review of a game release of such magnitude. But while we've been playing it for a little over a week, we still don't feel comfortable posting an in-depth, full review. That's because it is vast in scope and even though we have invested numerous hours completing missions and scouring the wastelands of the Commonwealth, where the game is set, we still don't think we've seen enough to give an honest opinion. We know we like it but we're still finding out just how much. Unlike previous Fallout games, including the isometric role-players released in the 90s, Fallout 4 starts before the first nuclear explosions turned the Earth into a barren wasteland. You even get to create your character and his or her appearance in less grubby surroundings. And without giving any spoilers, it's a good way to set the tone for the main story arch. Not that you'll take much note of the story initially though as the game plunges you headlong into missions that are effectively tutorials from the off, and they seemingly have little to do with the plot going forward. It is here that you are very strongly reminded of Fallout 3 and New Vegas if you're already a fan, or gently introduced to the theme if not. Bar the extra gloss and greater viewing distances afforded by the current generation machines or better spec'ed PCs, character models and the general look of Fallout 4 are not a million miles from its 2010 counterpart. Indeed, even the bugs and glitches synonymous with Bethesda's former games are in evidence again. The role-playing elements and gameplay mechanics are nigh-on identical too, with a return of the V.A.T.S. combat system if you fancy a more RPG approach, which slows down the action so you can specify which body part to aim for and let the number crunching take over. Picking up and carrying equipment is familiar too. As is the companion system, where an AI friend - be they dog, robot or human - comes along for the ride. But all of that is welcome and should be celebrated because it is clearly an example of an "if it ain't broken" mentality. At least it means you can hit the ground running if you've played the previous releases. And in some cases you need to. What is new is a crafting system that feels a little like the development team have been playing a little too much Minecraft. Settlements and home bases can be customised and built almost from scratch, with radio masts set up to attract lost souls and communities created. The detritus found throughout ramshackled villages and rest stops can be broken down into their constituent elements and then rebuilt into shelters, living quarters, beds, water pumps and all manner of items required to nest down. That also includes sentry posts and automatic machine gun turrets to drive away raiders, and it adds a different style of gameplay to proceedings than experienced in a Fallout game before. Indeed, we spent three or four of our initial hours with the game building a small town for a handful of survivors, complete with new pictures hung on walls. It's different and we actually got into it, but can't help feel that we'd have spent the time more effectively exploring the game in the early days that trying to construct our own village. Another slight issue we have with the game to date is that just about everybody we've met so far turned out to be a raider or feral ghoul. There are a few non-player characters that we've interacted with, who furnished us with side-missions or set us further down the main story path, but random encounters have tended to be lethal. And every one of the enemies have been similar in look and fighting style. Still, we suspect that will become more rounded as we progress. We might be hours in, but we have a distinct feeling that there are 100s yet to go. And that is really where we're at right now. Given some more time invested in discovery we'll be able to give a far better opinion of the many treats and delights Fallout 4 has to offer. It is undisputed the largest game we've played since The Witcher 3, although its tone is purposely slanted towards a lonelier experience. It is also clearly brilliant, but we need to find a bit more smooth to go with the rough before we can honestly confirm that judgement. What we know for sure is that it doesn't disappoint in sheer size and ambition; it has that in bundles.